Liquid lipsticks have become a never-dying trend! Being an essential in every woman’s cosmetic bag, from drugstore to high-end, all brands have brought out their version of the product. However, overshadowed by the most expensive luxurious brand names out there, there are certain brands easily available in Pakistan’s local market that can give them a run for their money. Kiss Beauty has already made the buzz in the city! 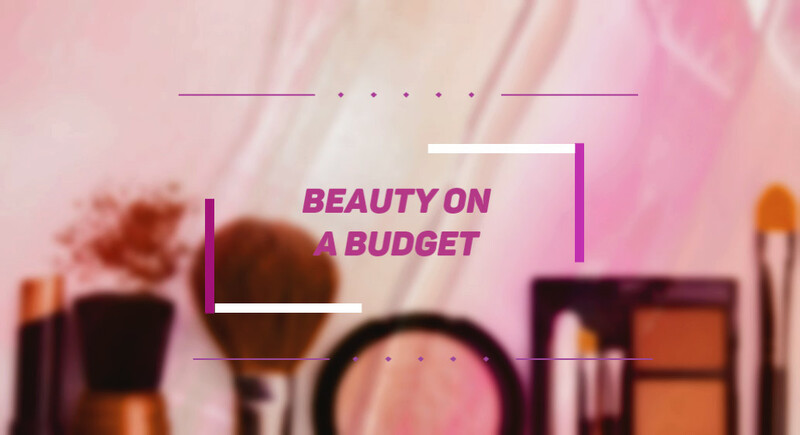 With their products inspired by the big names in the beauty community but available in a fraction of price, what sets the brand apart is its excellent quality. So if you are desperately wanting a new liquid lipstick but are also on a budget, I assure, Kiss Beauty won’t disappoint. I randomly picked up two shades to try from a local shop as by the look of it, they looked quite tempting! No exaggeration, I am blown away since the second I swatched it! Contrary to a drying liquid lipstick, this doesn’t settle in the fine lines of your lips and does not feel dehydrating at all. The consistency is much like high-end Ofra, super whipped and comfortable to wear. These are two shades I picked up. Number 1 is a dark wine red while Number 2 is a bright red with slight orange undertones (the shade do not have names, just numbers). 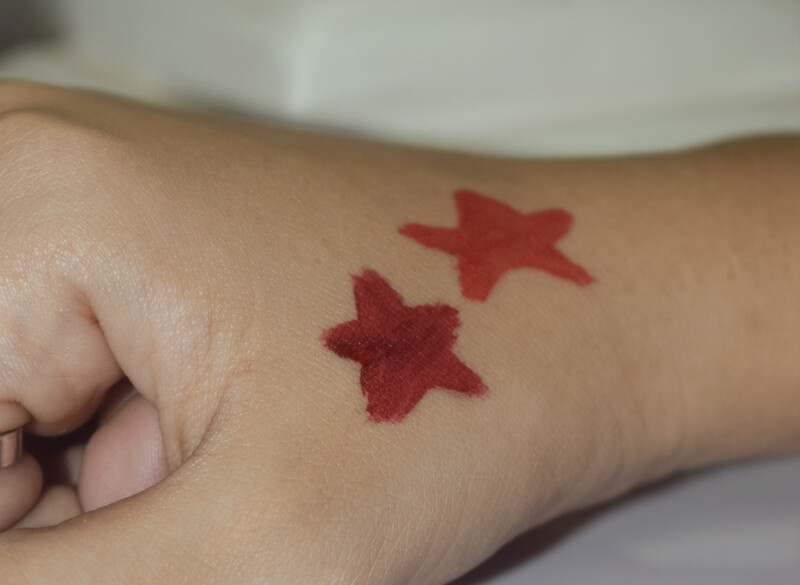 You need two layers for full opacity like the reds in any other makeup brand. The wear time is 4-5 hours. But unlike others, this doesn’t get crumbled at the end but in fact, leaves a soft tint. Unlike other low-priced cosmetic products, it doesn’t have a cheap cosmetic scent hence it won’t make the experience unpleasant. The packaging is quite adorable and even at such a price point, the applicator picks up the product quite efficiently. 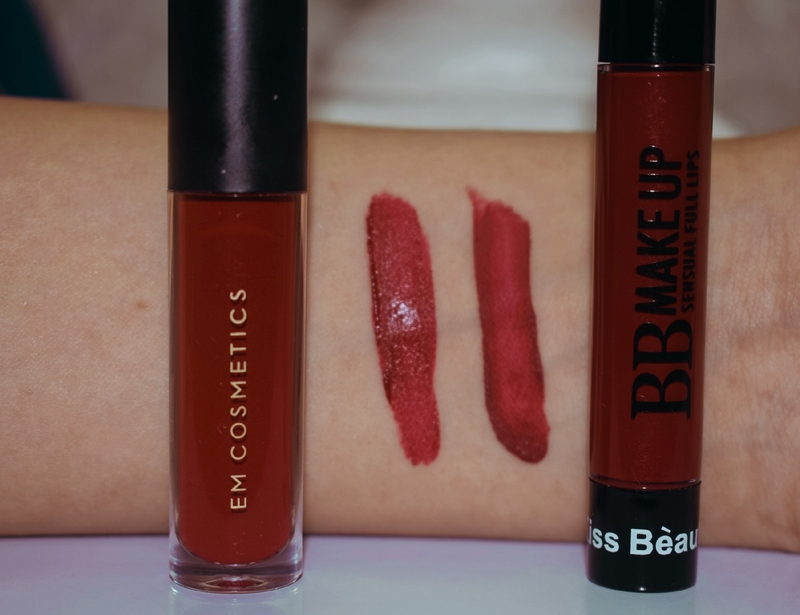 I decided to swatch Number 1 compared to my Michelle Phan’s Em Cosmetics Infinite Lip Cloud in the shade Crimson Red, and I was quite pleasantly shocked at how similar they looked! Not only the formula is quite the same, the shades looked accurate dupes as well. Offering an equal wear time, you can get Kiss Beauty’s Number 1 in only 100 rupees while Em Cosmetics Crimson Red costs $16 (approx. Rs 2000 excluding shipping charges). 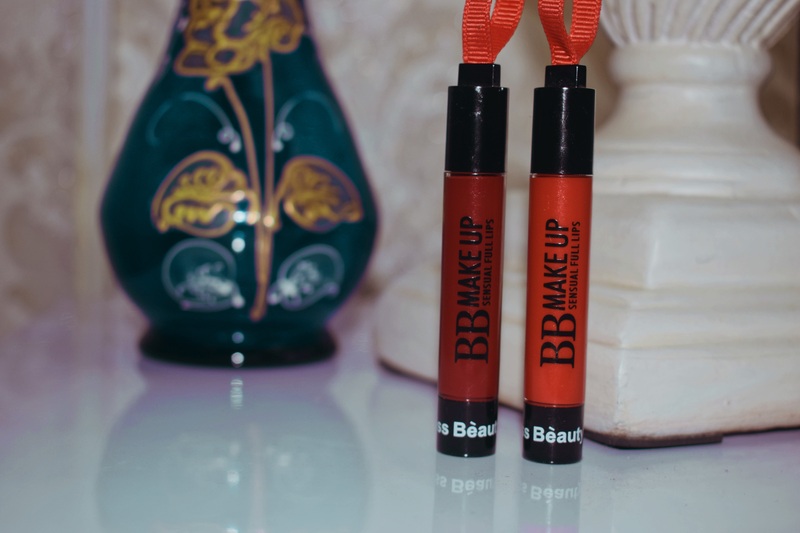 So the next time you see Kiss Beauty’s liquid lipsticks on the counter at a local shop, give them a try! They will impress you and you might actually find yourself reaching out for them more often than other expensive ones.